Smile! You're in the best of hands. We would like to welcome you to our practice "Dapper Dentistry",where we take great satisfaction in helping you maintain optimal oral health. Dr. Dapper has been recognized as one of Orange County's "top DENTISTS" as voted by his peers and has been featured in "Orange Coast" and "Coast" Magazines as a Premier Dentist. Dr. Dapper has also been nominated for "Best Dentist for 2009" by "Best of LA" and can be seen on television stations KCAL 9 and KTLA 5 throughout the year. Our practice is devoted to Implant, Sedation and Cosmetic Dentistry with an emphasis on preventative care. We provide all phases of Implant and Cosmetic Dentistry, including placement of the implant and it's final restoration. We design beautiful smiles utilizing the best technology and porcelain veneers. 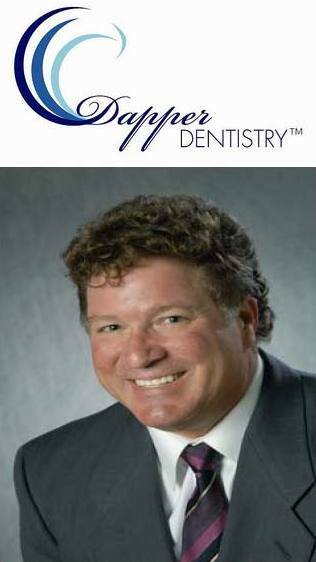 Dr. Dapper is a Diplomate of the American Board of Oral Implantology/ Implant Dentistry. We also provide patients with the comfort and option of Oral Sedation. Even our most anxious patients have enjoyed pain free experiences as a result of Dr. Dapper's special care and oral sedation techniques that reduce fear and discomfort. "Our patients are pleasantly surprised to have little or no memory of the dental procedure."